While the rest of the world can not understand why the international community can not cope with the IG / Give, which was battered blows videoconferencing Russian air, actions "on the ground" of the Iranian Revolutionary Guards and the Lebanese Shiite Hezbollah in support of the loyal Bashar Assad BC Syria and the military forces of the Syrian population, the Middle East continues to deteriorate rapidly, which is extremely negative impact on world oil prices, already greatly lowered the policy of Saudi Arabia in the export of "black gold". The price of oil last week repeatedly to step below the psychological mark of $ 27. Per barrel, while focusing on the 29-30 dollars. It gets in US oil production, especially from shale, forcing Washington to seek political incentive mechanisms in prices for "black gold." It is no accident in Washington and London began to receive messages until it is too loud, the readiness of the US to the collapse of the Saudi kingdom, or at least to replace the current king Salman, who, in addition to games on the oil price, exhibits rebelliousness and on many foreign policy issues , thereby causing a blow to US interests in the region. The United States believes that the cause of their problems is the intransigence of OPEC KSA, the volume of oil which reached last year a historic high of 10.3 million. Barrels per day. And before the United States is a strategic task - to bypass Russia by 2020 the volume of crude oil, and in this way greatly undermine Russia's oil exports to Europe, thus further weakening the already degrading the Russian economy. It is predicted that by this time the Russian Federation will produce 10.15 million. Barrels per day, and the US - 11.58 million. Barrels. And to achieve this goal can only be sharply down from the position of Saudi Arabia, the world's leading oil exports. Saudi Arabia is "guilty before the US and in other issues: first of all in Syria, Yemen, Iraq and so on, where it supports the forces that do not recognize the American interests, and acting solely in the interests of the Kingdom. Moreover, the Saudis went to the ostentatious rapprochement with Russia, to show America its independence, and complained that the Americans gradually reduce support for the dynasty Al Saud, leaving the most on military support to Saudi adventures to foment "color" revolutions in the Middle East and Arabia, which greatly undermined the US position in the region. In Washington, we decided that it was time to play back the lost. But especially "upset" of the US position on Iran, KSA, which connects Washington high hopes of the future reconstruction of the region, which accounts for 2/3 of world oil production and nearly 40% of world gas production, much of which will soon be giving Iran after full the lifting of sanctions and the modernization of the oil and gas infrastructure. American strategists even in 2014 realized that Iran is and will continue to be one of the tools not only geopolitics, let alone a leading regional power in the Middle East and the Persian Gulf, but also, importantly, an influential participant in the price of the game in the world energy markets. And the White House is extremely necessary that this instrument as soon as possible proved to be primarily in the hands of the United States. And this despite the fact that Moscow could easily block it with their positions on the Iranian nuclear program, supporting the West in spite of Tehran. And to understand why such support for Russia would have been logical. It would be Russia's response to anti-Russian sanctions imposed by the West under the pretext of the events in Ukraine. And it could be exchanged for one another. But this did not happen. Why - the big question to which the answer is known only to initiates. As a result, Moscow has lost nothing in return. And Iran had a chance to break away from Russia, and potentially at any point go into the Western camp that could offer the country an investment in any amount, and the most advanced technology. Moreover, even the representatives of the current US administration and Senate Republicans do not hide the fact that the reversal of Washington toward Iran reflects not only the tactics of the United States "do not put all your eggs in one basket" (in terms of creating another, along with Iraq, for example) counterweight to the traditional leader of the Middle East and a major player in the global oil market, as well as the "locomotive" of the Middle East "color" revolutions - Saudi Arabia. Only one is not counted - and whether Iran is ready to play this kind of American scheme, even if it is serious about the collapse or weakening of its main competitor in the region - KSA? So far, apparently, not yet, once Tehran afford to send away the American ultimatum regarding the continuation of their ballistic missile program immediately after Washington's decision to lift sanctions with Iran. But in any case, losing from it all the parties have already understood - is first of all Russia, which for a long time followed in the wake of Western sanctions against Iran, then for too long thought whether to cooperate with Iran, as well as by virtue of the current problems (the economy in the doldrums) and the lack of advanced technologies, and Saudi Arabia itself , which is already bursting at the seams, including because of their short-sighted policy of pricing oil, as well as the huge costs of the war in Syria, Yemen and Iraq. Things reached the point that from Riyadh leaked information about the intention of King Salman quit and hand over power to his son - the current Minister of Defense - in circumvention of the rules of succession in the kingdom. 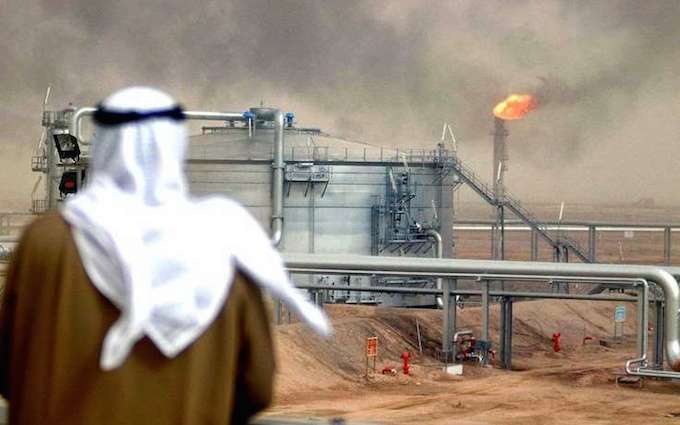 All this confirms the fact that the war in Syria, the conflict in Iraq and the Yemeni crisis serve as a key step in the redistribution of the world oil market, which is not possible without weakening Saudi Arabia and Iran gain. Not by chance, Washington and many EU countries fell silent stupidity Saudi authorities, who in the beginning of January this year, We executed the famous Shiite preacher and human rights activist Ayatollah al-Nimrah Nimrah and his 3 companions Shiite, and with them also the 43 Sunni defenders. US is beneficial to inflate the Sunni-Shiite conflict. Hence - their rather calm reaction on how Tehran reacted like a senseless and brutal massacre of Shiite leaders KSA. Washington openly rejoiced that between Saudi Arabia and Iran broke out a powerful political conflict, which Riyadh just lost. Therefore, by the way, Americans stopped and implementation of its decision taken in early autumn 2015, the beginning section of Iraq into three parts - Shiitostan, Sunnitostan and Kurdistan, and to support the actions of the IG / Give in Iraq. Now the US does not want to irritate the Iranian leadership who are not interested in the collapse of Iraq, where the Shiites might lose some current territory under their control, including the historic former Sunni areas, including Baghdad, which is located on the line separating the Shiites and Sunnis, and most importantly - lose a large northern oil field near Kirkuk, which is due to IG / Give passed under the control of the Kurds. But the US and its allies could have long and easily crush IG / Give in Iraq, without too massive own participation of its ground troops in a ground operation with the Iraqi army and coalition forces of Arab countries, especially the countries of the GCC, Egypt and Jordan in led by Saudi Arabia. But Washington does not go hard at it. But certainly it will, once Iran gets into the orbit of its influence. It is true that the Iranians are not eager to get back to the American hook, having a long and very sad experience "interaction" with the American perfidy, fueled by British strategists.After all, the British, the best of the foreign players who know the Middle East section of the CSA developed a scheme for 4-5 pieces, roughly the lines that existed 90 years ago between the public entities Arabia (Hijaz, al-Asir, Al Hisa, etc. .d. ), ie before the formation of the Saudi state as a whole. It acts as a deterrent to Israel. True to his opinion in Washington is less considered, for that matter, and vice versa. It is no coincidence since Israel became alarmed after the decision Russian President Vladimir Putin to lift the embargo on the supply of Iranian systems S-300. After all, the Israelis consider Iran's activity in the region only in the framework of undermining their own position in the Middle East as well as in terms of the position of Saudi Arabia, which is now openly advocates a united front with the Jewish state against the strengthening of the Shiite community in the region. 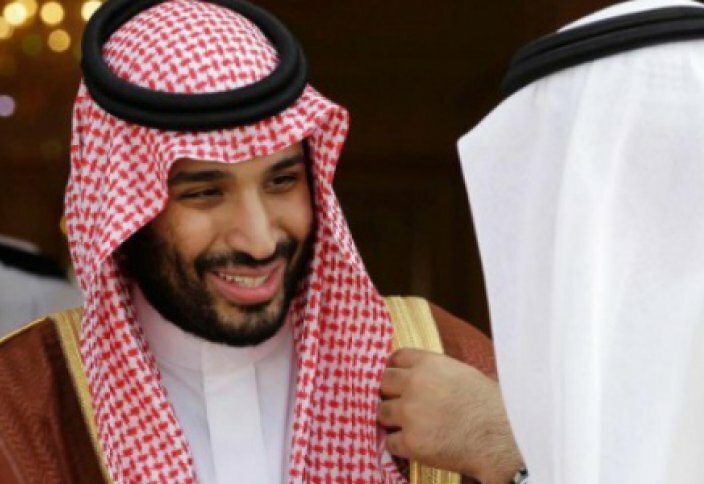 Saudi Arabia, and based on its financial infusions Egypt and Jordan, as well as other dwarf monarchies of the Persian Gulf are not satisfied with the Iranians trying to establish itself in Arabia, because it weakens Riyadh - the main support of the conservative Sunni Arab regimes and the military dictatorship in Egypt. Confrontation between Iran and Saudi Arabia are literally growing from day to day. And as soon as Moscow lifted the ban on the delivery of S-300, the next day, Iranian Oil Minister Bijan Zanganeh demanded by OPEC to cut oil production by 5%, or 1.5 million barrels a day. And then Saudi Oil Minister al-Naimi invited the Russian ambassador in Riyadh to transfer the management of Russia messages on oil prices. There is an attempt to tear Moscow from Tehran, "buying" Russian promises of generous financial assistance, investment, and a huge deal in the field of military-technical cooperation. And it seems that Moscow again led on this, although at the time the Saudis have deceived the Kremlin has not signed any of the previously initialed contracts in the sphere of military-technical cooperation and not giving a single dollar investment in the Russian economy in exchange for the fact that Moscow has not blocked in the UN Security Council a draft resolution on Western financial and introduction of economic sanctions against Iran. Not in vain, and the Emir of Qatar arrived in Moscow on 18 Jan. Yes, even I got a gift from the Russian president falcon hunting that Sheikh Arabia valued much higher than the highest governmental award. And this despite the fact that the Doha - the main sponsorterrorist organizations in Syria, the most brutal and uncompromising, and fight against the presence of SAR group videoconferencing Russia, such as "Al-Nusra Dzhabhat." It is possible that it was her, gunmen killed the Russian Su-24 pilot. And Moscow is perfectly aware of the particularly warm relations with Ankara Doha, including the intelligence services, and especially the close interaction of Qatar and Turkey on the Syrian issue, bearing an anti-Russian and anti-Iranian character. That is a close friend of Erdogan receives unusual honors in Moscow, and this despite the fact that Erdogan Russia de facto boycott and even with Turkey severed virtually all ties, which provided tens of billions of dollars. This means one thing - the Emir of Qatar Tamim has promised many things in Moscow that "deserved" a hunting falcon. This is evidenced by the many photos from the negotiations and bird ceremony where among the main parties on the Russian side somehow present Defense Minister Sergei Shoigu. And really - what he or she would do if still with Qatar was not a military or military-technical cooperation? And in the Qatar trained and treated antiasadovskoy opposition fighters, and even officers of the Qatari special forces commanders in fighting terrorist groups armed Syrian opposition? Only here all kinds of contracts, including in the military-technical cooperation, and the infusion of the emirate in the Russian economy even 10-15 billion. nothing will, if the sanctions against Moscow continue, while oil prices will fall further or remain at current levels. But we got his wariness of Iran rapprochement with Qatar. And then there's the stuffing information from London - President Vladimir Putin allegedly asked Syrian President Bashar Assad to step down. This January 22 I wrote an influential Financial Times referring to the two senior Western intelligence. According to the newspaper, the former head of the GRU Sergun Igor, who died in early January of this year, traveled to Syria to convey this message to the head of Syria. Assad harshly refused and gave Sergunov understand that relations between Russia and Syria can not be developed without the leadership of Assad. But Yemen's no doubt. 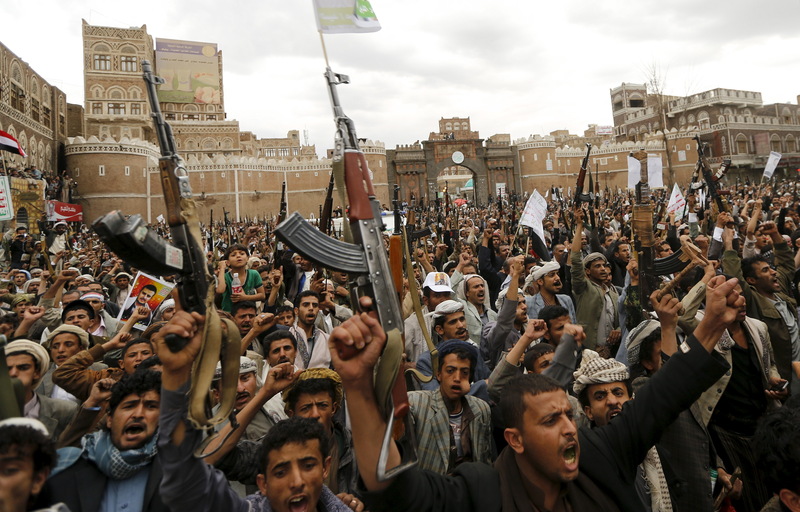 Yemeni front strongly narrowed Saudis space for maneuver. With each airstrike and the bombing of the Shiite areas of Sana'a and other Yemeni cities of the Arab coalition led by Riyadh risks to throw the flames of war in its own territory. KSA Eastern Province, whose population is overwhelmingly Shiite, and which produces almost all of the oil kingdom, turns into a time bomb, the explosion of Saud dynasty which may simply lose power and lead to the disintegration of the country. That and the United States want. For smaller states to control easier than large and obstinate country whose rulers are spoiled abundance of petrodollars, which they buy other countries or influential political organization in them for the subsequent shift through them unwanted regimes. And last year in iran.ru repeatedly appeared analysts materials that might come to create a new empire in the Arabian Peninsula, which will unite under the banner of their Ismaili Shiites and living in Saudi Arabia, Yemen, Bahrain, Iraq and other countries in the region with a population of nearly 75 million people. Now obviously it is growing international conflict of enormous proportions, which has drawn many states: Saudi Arabia, Qatar, Kuwait, UAE, Egypt, Jordan, Bahrain, Morocco, Pakistan, Sudan. The situation could escalate into a broader confrontation between the Sunnis and Shiites, and later in a sharp conflict between the Arab countries and Iran, which will act on the side of the Shiites in Iraq, Lebanon and Syria. Given the fact that through the Bab-el-Mandeb from the Red Sea to the Indian Ocean takes up to 20 ths. Vessels each year, the war in Yemen is able to trigger traffic jams, further weaken the position of Saudi Arabia in global oil exports, and thus exacerbating the already the complex socio-political and religious problems in KSA. And how can we not recall that the operation of Riyadh and its allies against the Yemeni Shiite rebels Huthis began with the tacit consent, but without Washington's participation. And that means one thing - Washington pulled the weakened Syrian war Saudi Arabia in a new conflict in a country where the interests and Iran's influence is enormous. Now the Middle East is formed a new geopolitical configuration: US blocked Iran and Russia - against Israel. It is no accident, Israeli Prime Minister Benjamin Netanyahu during his recent visit to Russia, "sight" for the fact that the future delivery systems C-Z00 Tehran - Moscow's desire to maintain the balance of power between the Arab world, led by Saudi Arabia and Egypt on one side, and Iran and its Shiite allies in the Arab world, on the other. Moreover, both the warring parties are extremely rich in oil and gas, it is vital for the United States. From this we can conclude that the convergence of Israel and Russia against the background of worsening relations with Washington, and on the basis of common interests in the fight against radical Islam is not obstructed. A military cooperation of Russia with Iran in Syria and Iraq, it is desirable also in Yemen, as well as the development of military-technical cooperation with Iran, allowing Moscow to restrain rapid transition Iran's sphere of influence in Washington that can instantly be reflected on the Syrian and the Iraqi conflict and the most seriously hit Interest in the Caucasus and the Russian Federation in the North Caucasus and in Central Asia. But drawing closer to the KSA and Qatar is not quite clear on the basis of (clear financial and material motives, but it is not clear that in return Russia should do, but to give way to Syria and Iraq), Moscow risks sow serious doubts in Tehran. Eventually there will come a time when Russia will have to be determined, with whom it to be in the Middle East. And it is good to be remembered that all these intrigues are the United States, which did not lose their positions in KSA and Qatar, the GCC as a whole, but it is quite capable to attract Tehran super modern technology and unlimited financial resources.